If time is of the essence but you still need to get in an effective workout, there is the Lagree Fitness Studio. Head inside the glass doors of this La Cienega studio and be out in a sweaty 25 minutes, guaranteed. 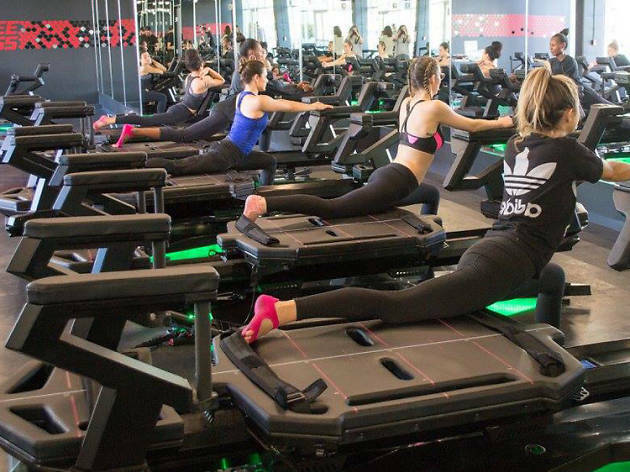 The space is covered with Supraformers, an exercise machine designed by the owner himself that can tilt on both axes to allow for low-impact, resistance training. The Lagree Fitness Studio is the first place to house these massive machines, so go inside to check one out for yourself.